Guloren Turan is the general manager for advocacy and communications at the Global CCS Institute. The IPCC 1.5 report has set the tone. We are in a race against time to avoid the dangerous consequences of climate change. Current estimates predict that the world is on the way to 3.0°C. Despite strong scientific evidence, the reality of an open and pragmatic conversation about solving the decarbonisation challenge seems out of reach. The reality is simple. Net-zero will require a whole variety of measures: low-carbon and renewable energy, decarbonisation of industrial sectors, as well as carbon removal technologies, including carbon capture and storage (CCS). Net-zero means not only decarbonising the electricity system but the whole energy system. In the road to net-zero, CCS alongside other climate action solutions will be necessary. In the IPCC SR15 Report, three of the four pathways include CCS and bioenergy with CCS (BECCS) as necessary mitigation technologies. The Paris Agreement calls for a balance between anthropogenic sources and removals by sinks. A unique feature of CCS is that it can manage both the flow- ongoing emissions – and the stock – the atmospheric CO2 concentration. This set of technologies is an important man-made, therefore manageable, emissions sink that can also enable critical future production of energy with a negative carbon footprint. Despite strong support by internationally respected organisations – including the IPCC, IEA, UK Committee on Climate Change – and while consistently included in climate scenarios – myths and misconceptions continue to cloud CCS discussions in Europe. Scars also remain from the setbacks of the NER300 and the cancellation of several projects across the continent. For some, CCS is still seen as a fig leaf for the fossil-fuel industry, when in reality it has the ability to support a just transition and the decarbonisation of Europe’s emission-intensive industries, whilst also enabling a new energy economy and job creation through hydrogen production. This skewed view of CCS has played out in the European Parliament, notably in the context of the COP24 draft resolution and the draft resolution on the EU’s proposed long term strategy for energy and climate change in the environment committee by putting forward language dismissing CCS as a climate mitigation technology. The renewed interest around CCS, as well as the scepticism around it, proves the need to reframe the discussion. CCS is back on the agenda and it’s here to stay. The vision for Europe’s long-term climate strategy has created momentum around CCS. The technology is featured as one of the seven building blocks of the Commission’s vision. In the various scenarios put forward in the EU long-term strategy, the contribution of carbon capture ranges from 52 MtCO2 to 606 MtCO2, making a strong case that CCS has a role to play in supporting Europe’s path to a climate neutral economy. CCS can significantly reduce emissions in energy-intensive industries including cement, petrochemicals and steel. Electrification has its limits. Process emissions from industry also need to be tackled. Both the Energy Transition Commission and Bellona maintain that CCS has a crucial role to play in industrial decarbonisation. In the cement sector, it is likely to be the only feasible route to completely eliminate process emissions. In steel or chemicals, it may be the most cost-effective route to decarbonisation in places which do not enjoy abundant cheap zero-carbon electricity. CCS is too often presented as being in opposition to renewables when in reality it has the ability to work hand-in-hand with wind and solar to decarbonise Europe’s energy system. As renewables continue to grow, electricity grids will have to be equipped to respond quickly to changes in residual load and provide a reliable, dispatchable and flexible source of energy. Clean and dispatchable generation can help future power systems to cope with intermittent generation and effectively meet rising electricity demand. In power generation, the launch of the NET Power demonstration plant in Texas presents new opportunities to deliver zero-emission electricity. The natural-gas power plant aims to generate emission-free electricity at a competitive cost with conventional combined cycle gas generation. CCS also opens the door for a new energy economy with the production of hydrogen and the operation of zero-emissions power plants. Hydrogen can play an important role in decarbonising energy production, transport and domestic and industrial heating. Hydrogen from natural gas is a cost-effective and scalable solution. The large-scale production of hydrogen with electrolysis faces the challenge of the generating capacity of renewable energy and with water usage. For some, CCS is a fantasy solution. This is simply untrue. CCS is a proven technology and it has been in commercial operation for over 40 years. In fact, the first CCS project dates back to the 70s. 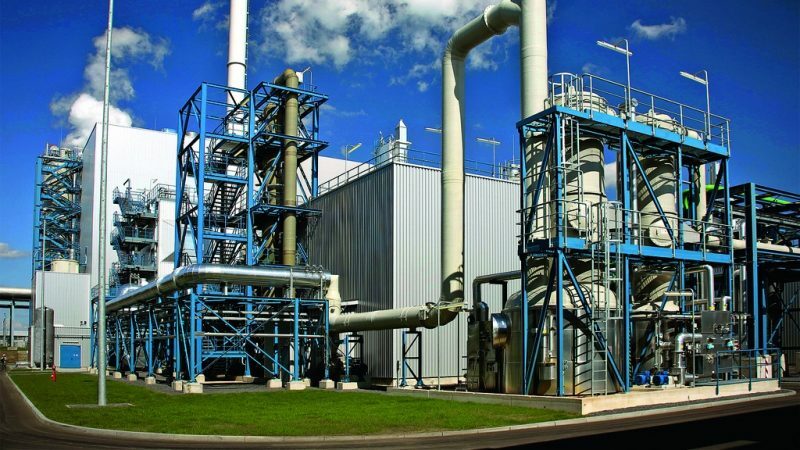 There are currently 43 commercial large-scale CCS facilities around the world: 18 in operation, 5 in construction and 20 in various stages of development. Europe is currently lagging behind with only two operational projects in Norway (Sleipner and Snøhvit). Despite this lack of progress, there is a wide range of promising CCS projects waiting to be kick-started across Europe. These include the development of CO2 transport pipelines and storage infrastructure, carbon capture at cement and steel plants, production of low-carbon hydrogen from natural gas, CO2 capture from the waste-to-energy plant and the world’s first hydrogen-fueled power plant. 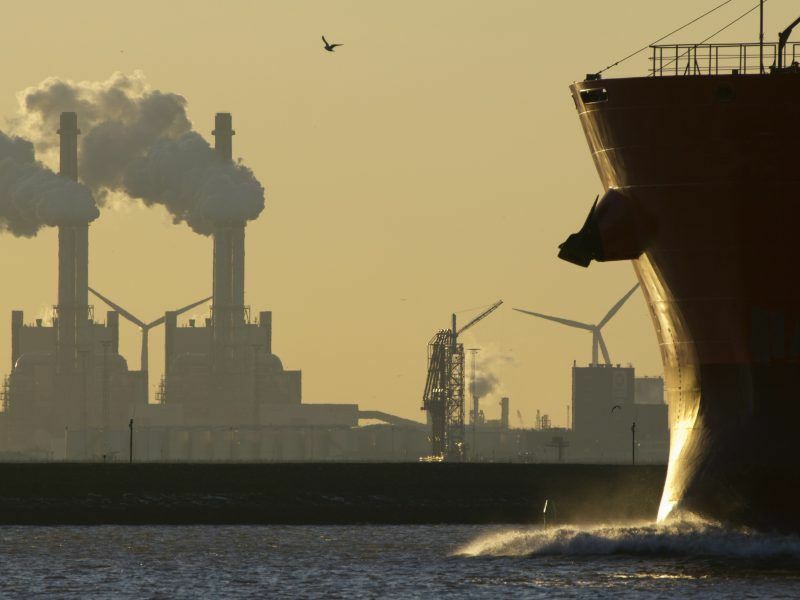 In the Netherlands, the PORTHOS project aims to develop a CO2 transport and storage infrastructure to decarbonise industry in the Port of Rotterdam. In Norway, the Northern Lights and the full-scale CCS project will develop a pan-European CO2 infrastructure and capture emissions from two industrial sites. 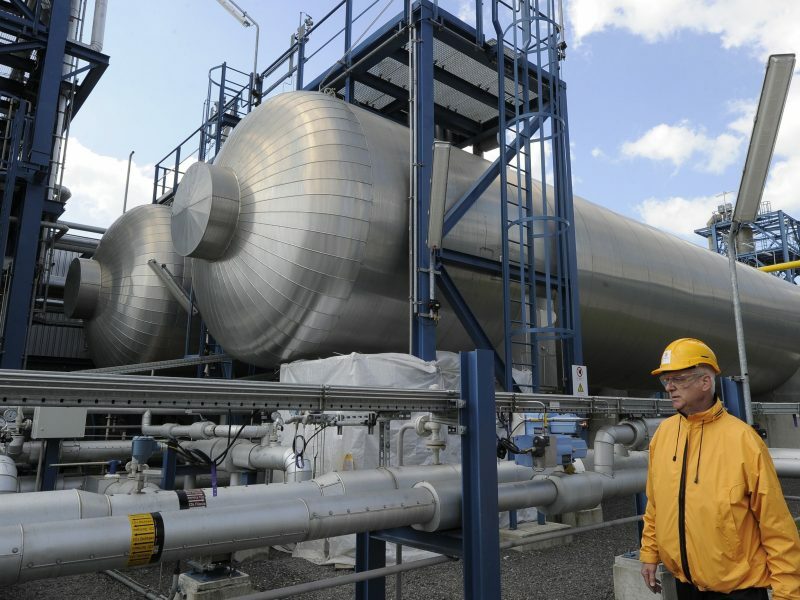 n the Netherlands, there are also plans to decarbonise electricity production by converting Vattenfall’s natural-gas plant into a hydrogen-fueled plant by combining hydrogen production with CCS. In the UK, the H21 North of England and the HyNet projects are laying important groundwork to use CCS to decarbonise power and heat. The H21 project has the potential to reduce CO2 emissions by over 258 million tonnes a year by 2050. We are at a crucial time. There are thirty-two years left to build a sustainable future for Europe’s economy. The EU and its member states will have to demonstrate how they will successfully and realistically deliver on a net-zero ambition. To achieve the scale and speed of decarbonisation needed, CCS will have a critical role to play. There are many pioneering CCS projects that can play an important role in supporting Europe’s energy transition. However, these projects are struggling with the lack of robust policy support needed to move forward. Norway, the first mover, continues to charge ahead. The country has asked for Europe’s support to move ahead with its plans to help kickstart CCS deployment with its full-scale project. This will only be feasible if Norway has access to large quantities of CO2 from other European emitters. Across Europe, the opposition from some environmental groups and political factions is putting the deployment of CCS at risk. There is a pressing need to move towards a more pragmatic conversation on the energy transition and the decarbonisation challenge. Given project lead times, it is important to start securing support for CCS projects today. Europe must also learn from past setbacks and see CCS as an opportunity and one of the solutions to the decarbonisation challenge. CCS should no longer be perceived as the ugly duckling of climate mitigation technologies. The next few months will be crucial for climate discussions in Europe. 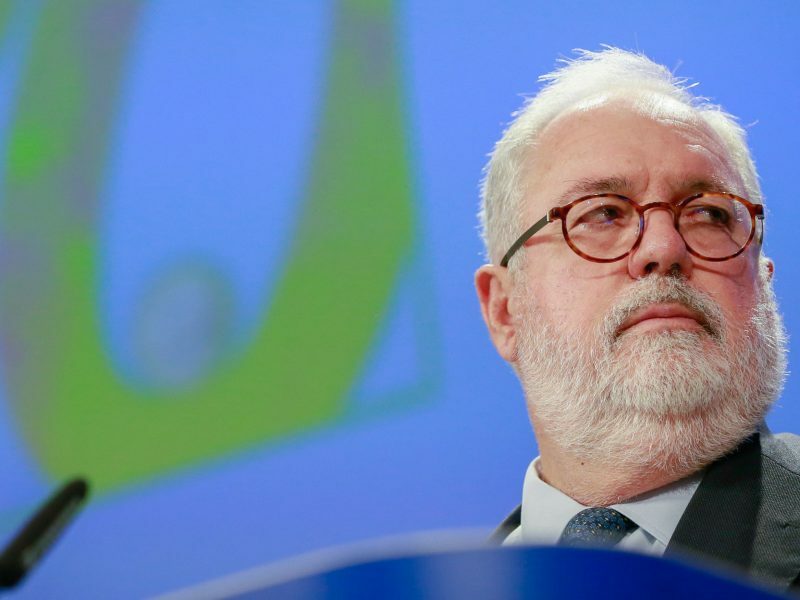 By early 2020, the EU will have to submit its climate strategy to the UNFCCC. Time has come to be realistic and build a solid foundation for Europe’s climate plan. It’s time for Europe to recognise the value of CCS in supporting the road to net-zero future. The largest user of nat gas in Europe is the residential sector (circa 1200TWh/yr) . Energy efficiency action has the potential to halve that use. A mix of actions will then need to be deployed to address the rump nat gas use. CCS ain’t one of them. The heat pump boys talk up their solution as the only girl in town (it ain’t), district heat probably has a role (with heat pumps) which leaves hydrogen. The move to REs elec predicates storage, and the way to do that is through sector coupling i.e. REs elec used to make H2 and then putting this into pipelines – which act as the storage medium for REs elec. The heavy lifting with respect to gas infrastructure has been mostly done – most low pressure nat gas networks are H2 ready. In the case of steel, recycling steel is through electric arc furnaces (no need for CCS). In the case of primary steel. as you know, Thyssen-Krupp and others are running projects which use H2 for primary reduction. Various reports have estimated that if Europe maxed out on recycling steel the primary demand would be circa 20megatonnes – easily met through H2/primary reduction. H2 from electrolysis using REs elec is already cost competitive with H2 from SMR due to rises in EU ETS prices – so no need for CCS there (which covers the fertiliser and other related sectors). In the case of cement, indeed CCS could play a role – but so could other approaches – which are being investigated. Adding to the above, both the US & Russia are looking at nat gas pyrolysis which gives solid carbon and H2 (at a small energy cost). So H2 is looking like it is an answer to RES elec storage and as a way to de-carb tricky sectors such as residential space heat. As for power generation – Kawasaki has already tested (at Aachen uni) an H2 gas turbine – no need for a CCS plug in. What the above is saying is that approaches that do not need CO2-based CCS are already well developed. I’d also note that whilst the Norwegians are keen on CCS – their primary use of the CO2 is to enhance oil recovery from North sea oil fields. Interesting – but one wonders is this is a long-term “solution” given the move towards either H2 or electric vehicles.? CCS in its CO2 form has been around for perhaps 10++ years. Progress seems to have been very limited. In the same time frame renewables have gone from – “given us a subsidy” to “no subsidy needed” even for off-shore wind. Sadly, despite the multi-100s of millions of Euros hosed at CCS projects – similar progress does not seem to have been made. This raises the question: when is “enough is enough” – given the availability of other, mostly proven de-carb tech, is it time to ask CCS to either put up or shut up? Lastly, an important but so far unanswered question is the need to extract carbon from the atmosphere and store it. I’d suggest that the biomass/CCS route is cumbersome & slow. Alternatives, such as the direct extraction of CO2 from atmosphere and conversion into carbon (easy to store) is the way forward.